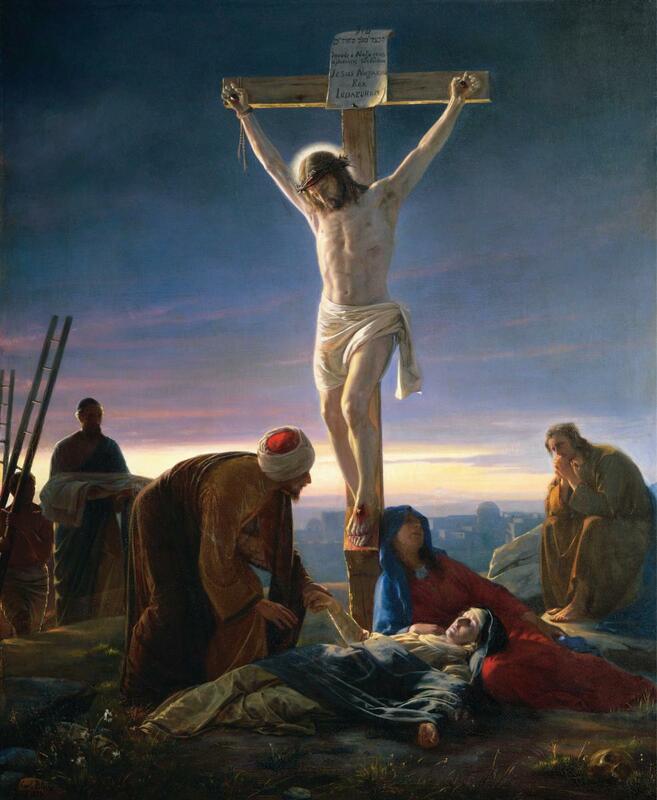 38 Then two criminals were crucified with Him, one on the right and one on the left. 39 Those who passed by were yelling insults at Him, shaking their heads 40 and saying, “The One who would demolish the sanctuary and rebuild it in three days, save Yourself! If You are the Son of God, come down from the cross!” 41 In the same way the chief priests, with the scribes and elders, mocked Him and said, 42 “He saved others, but He cannot save Himself! He is the King of Israel! Let Him come down now from the cross, and we will believe in Him. 43 He has put His trust in God; let God rescue Him now—if He wants Him! For He said, ‘I am God’s Son.’” 44 In the same way even the criminals who were crucified with Him kept taunting Him. 50 Jesus shouted again with a loud voice and gave up His spirit. 51 Suddenly, the curtain of the sanctuary was split in two from top to bottom; the earth quaked and the rocks were split. 52 The tombs were also opened and many bodies of the saints who had fallen asleep were raised. 53 And they came out of the tombs after His resurrection, entered the holy city, and appeared to many. 55 Many women who had followed Jesus from Galilee and ministered to Him were there, looking on from a distance. 56 Among them were Mary Magdalene, Mary the mother of James and Joseph, and the mother of Zebedee’s sons. Thank you, Jesus, for coming and dying in our places, though you were innocent, we are guilty, but you bring us to our knees. Thank you for saving us! You are worthy to be praised!